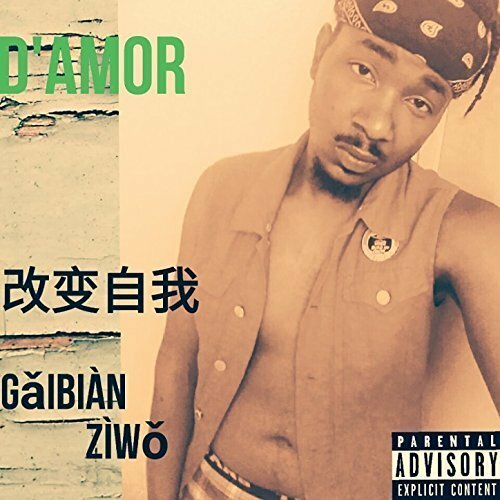 The artist and producer of hip hop known as D’Amor has released his latest EP album, “Gabian Ziwo.” The EP contains six original D’Amor hip hop tracks for an approximate total listening time of 25 minutes. It has been proudly published as an independent music release without the direction of the corporate music industry. Seamlessly blending elements of hip hop and R ‘n’ B for a mellow groove and a solid back beat, “Gabian Ziwo” makes a fine introduction to this intriguing artist from Orlando, Florida. D’Amor cites as main artistic influences John Legend, Tevin Campbell, Jazmine Sullivan, Mary J. Blige, Mariah Carey, and Jay-Z. His own style takes the most integral qualities of modern hip hop and dresses them up in a classy, cosmopolitan delivery that will appeal to fans of pop, hip hop, drum and bass and R ‘n’ B alike. A multifaceted performer onstage and in the studio, D’Amor’s qualities as a writer, singer and rap artist emerge in “Gabian Ziwo” in such a way as to prove his name will circulate in indie music circles in 2018 and beyond. D’Amor hails from the hip-hop homeland of Brooklyn, NY and lives now in Orlando, FL. His debut mixtape, “Somethin 4 Da Summa” currently has circa 16,000 plays on SoundCloud and counting. Several singles from D’Amor are available for sampling and purchase at digital music stores everywhere. “Gabian Ziwo” by D’Amor is available online worldwide at over 600 quality music retailers now.